When the weather is sunny I feel we must make the most of it and usually encourage my boys to play outside. 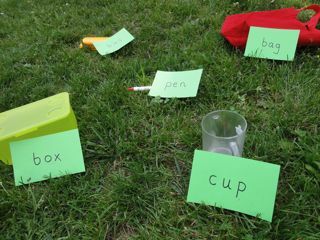 It is not always so easy to think of ways of incorporating literacy learning into outdoor play, however here is a simple game which I played recently with my youngest to help improve his early reading skills. It involves lots of running around the garden and searching for things so was a big hit with my energetic four year old. 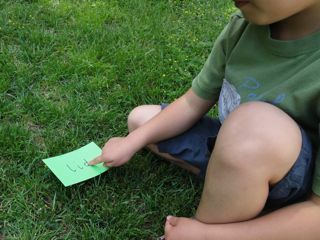 My son has now pretty much mastered his letters and is starting to sound out simple three letter words. 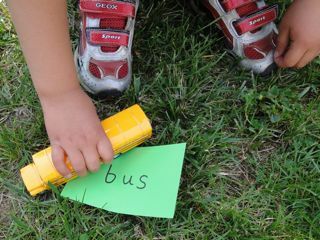 In this basic game I asked him to read the word of an object on a card, find the object in the garden, pick up the object and then place it on the card. Simple, I agree, but fun nonetheless. 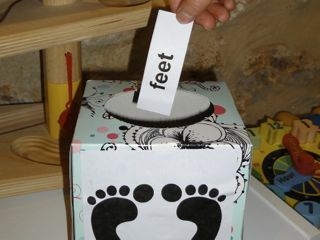 I chose objects with simple, three-letter words such as hat, cup, box, can, bag, van, bus, pen and lid. 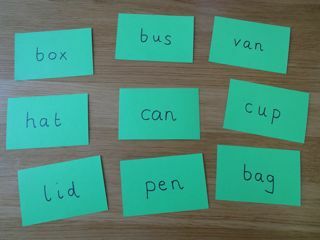 These are known as CVC words (consonant - vowel - consonant) and are a great starting point if your child needs practice blending letter sounds together to make words. 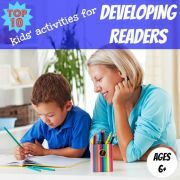 Follow this link to find word lists for different sounds, which can be a useful resource when trying to think of an object you can get your hands on which also contains the digraph you are trying to practice. 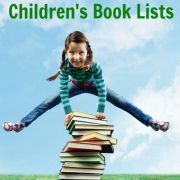 Find a collection of objects with names which match the reading level of your child. Also grab a pile of index cards and a pen. Write out the name of each object on an index card. 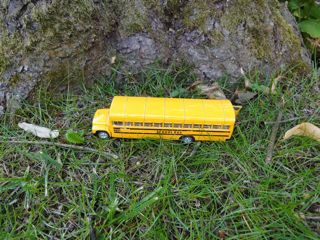 'Hide' the objects around the garden (while your child is not looking). 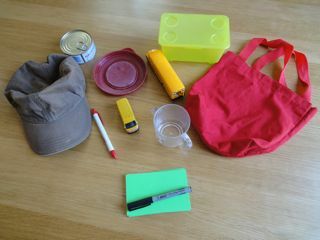 My objects were not exactly hidden - I didn't want my son getting frustrated at not being able to find them. Scatter the index cards close to each other at one end of the garden. 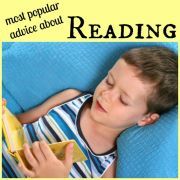 Ask your child to pick one of the cards and read it. 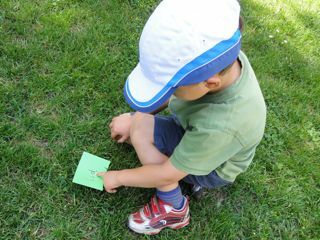 Then ask your child to find the object whose name is written on the card somewhere in the garden. When they have found the object they should bring it back and place it on the card. 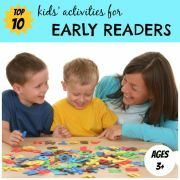 Ask your child to choose another card and carry on hunting until all the objects are found. 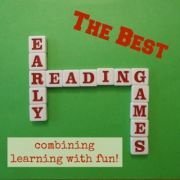 If your child likes a challenge you could time them, and then see if they beat their time when they repeat the game. Reading the cards and finding the objects was challenging enough for my child so I didn't set the stop watch going this time! 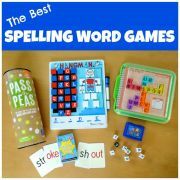 You can find more ideas here for word-based literacy games which you can play to help your child start to recognise whole words.